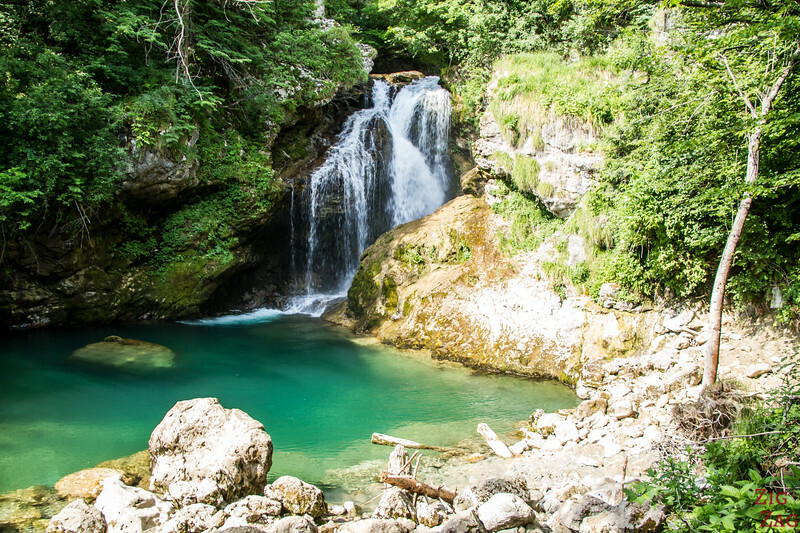 Discover some of the most beautiful Slovenia waterfalls which are mostly colorful and enchanting: the fairy-tale looking Virje waterfall, the curtain shaped Boka waterfall, the famous emerald Savica, the fun Pericnik, the hidden Kozjak and a few more... 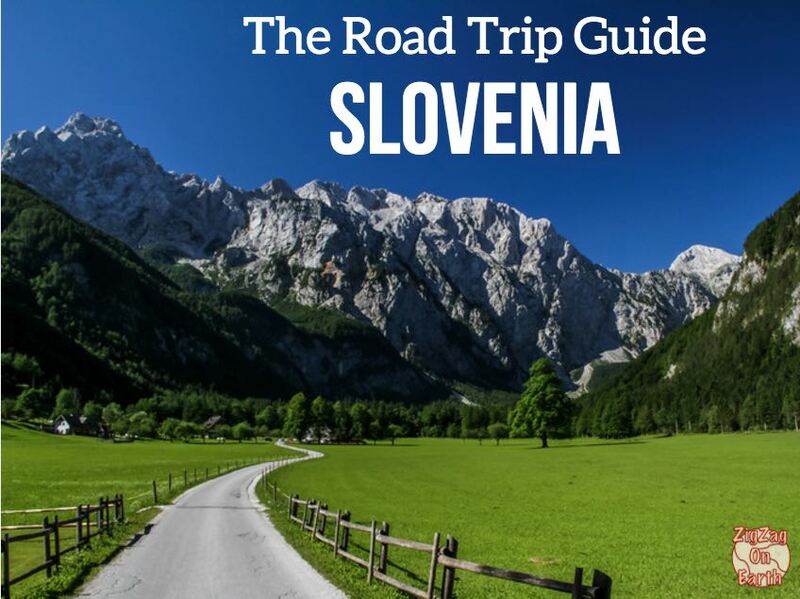 Photos and video to inspire your Slovenia Road Trip itinerary. 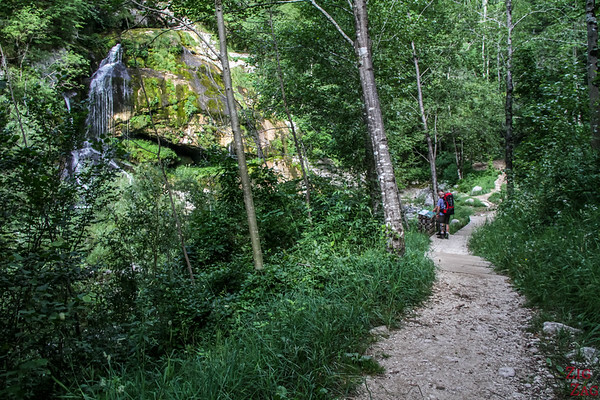 The most famous waterfall in Slovenia is Slap Savica, near Lake Bohinj. After seeing many of them I agree that it is in the top 3. 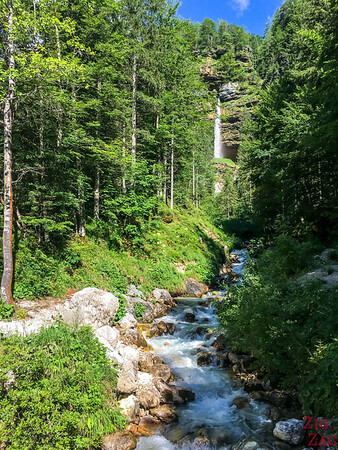 The Boka waterfall is another one that is well-known because it is visible from the main road driving South of Bovec. Its location is stunning, but I think it is a more classic waterfall. 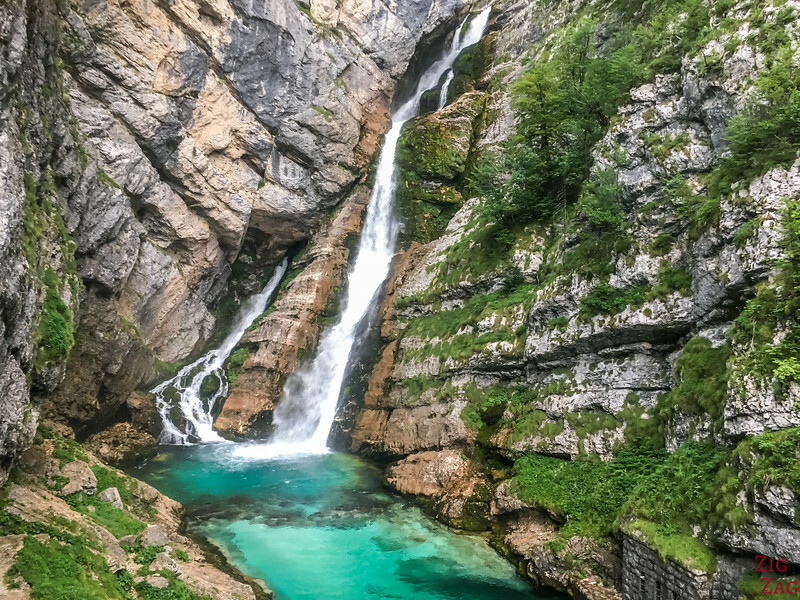 All the waterfalls listed below, along with many other beautiful places, are included in my eBook: The Road Trip Guide - Slovenia. And here is my absolute favorite waterfall in Slovenia: Slap Virje. Not much power, no big drop, but a small enchanting creek. I really thought that fairies were going to fly around. As you can see the water delicately flows against the rock for 12 meters (39ft). Because of the humidity many plants and lichens have grown on the rockwall with different shades of green. And 2 beautiful emerald pools with crystal clear water have formed at the bottom of the falls. 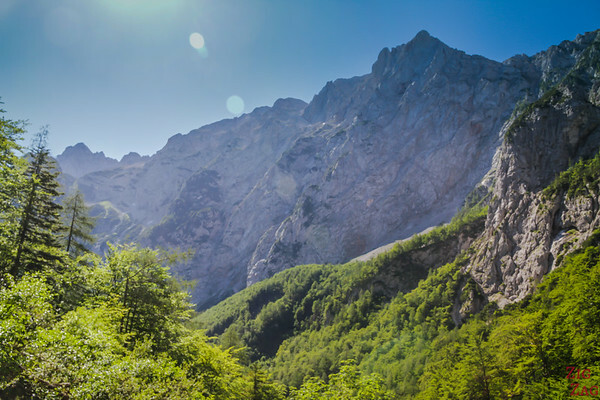 Virje is located not far from the town of Bovec, in the West of the country. There are not many parking space and the last 200m are not paved. Then you have to walk downhill for 5 to 7 minutes with views of the mountains in the distance (7 to 10min to walk back up). And you can hear the noise of the waterfall getting louder and louder as you hike. In Summer, the flow is gentle and you can approach it. Note that in Spring and Autumn the flow increases and a lot of mist is projected. 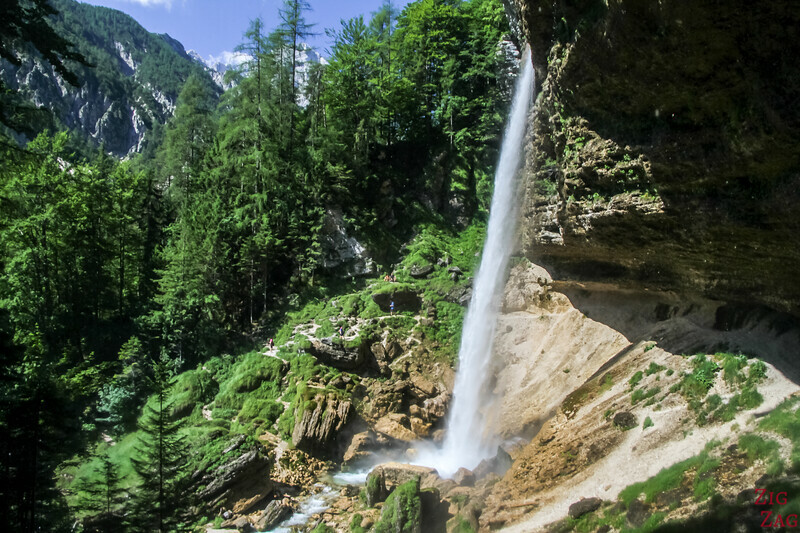 The Boka Waterfall has the greatest volume of water of all Slovenia falls. The water flows out of a vertical limestone wall for 106m (348ft) and then 33m (108ft). Its width of 18m allows us the see it well from a distance. The best time to see it is in Spring, when the water melts from the snow caps and the volume is impressive. 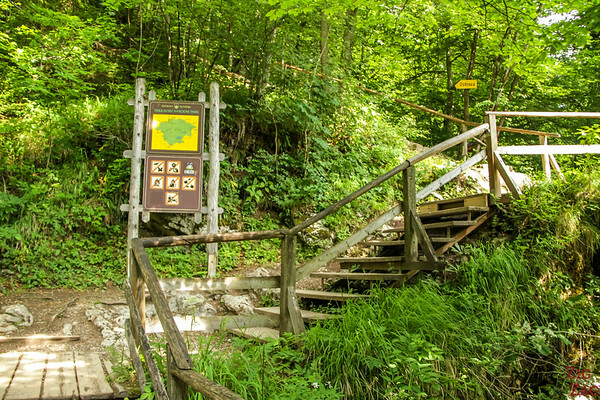 The Boka falls are located just a few minute drive South of Bovec, along the main road. There are 3 options for you to admire the waterfall. Walk to the viewing platform - it is a 15minute climb uphill - quite steep and rocky (wear good shoes) - However I was expecting more and ended a bit disappointed. The view is similar you are just a bit closer and higher. You can walk 1.5h to get closer to the waterfall and see its full glory. 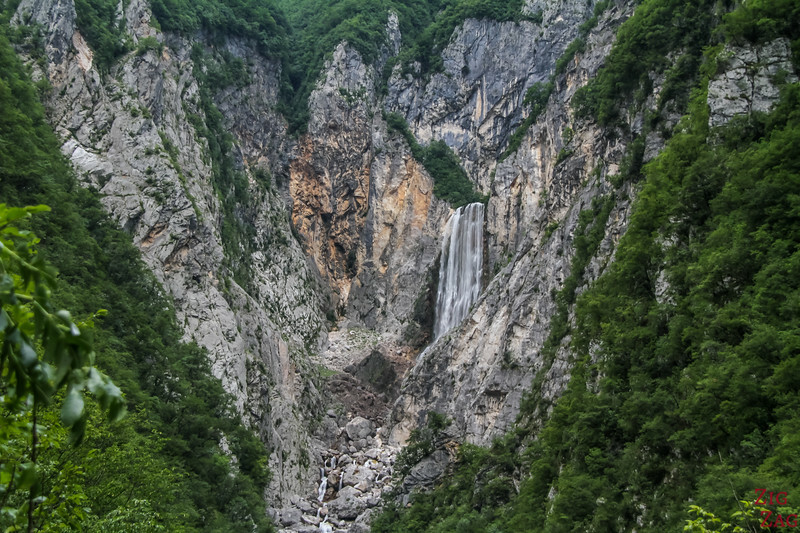 You can see more photos on my article dedicated to Slap Boka Waterfall. 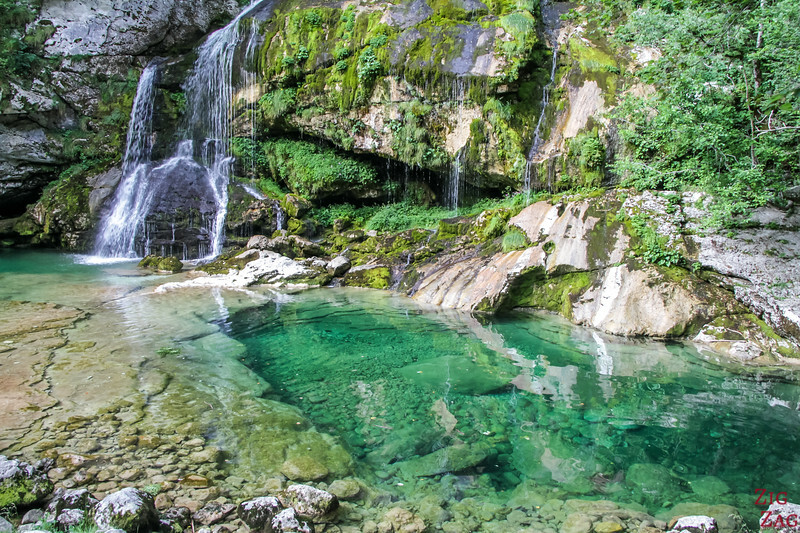 Savica is the most famous waterfall in Slovenia for 3 main reasons - it is not too far from the touristic Lake Bled + it is very photogenic because of the emerald pool at the bottom + a famous poem by France Preseren immortalized it (so it is also a mandatory visit for Slovene people). 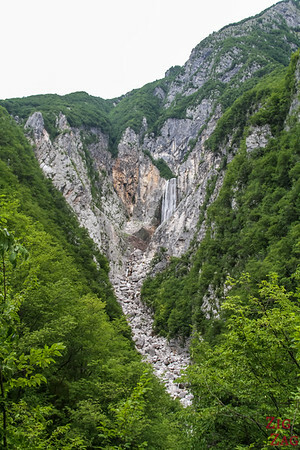 The Savica waterfall is quite a gem. 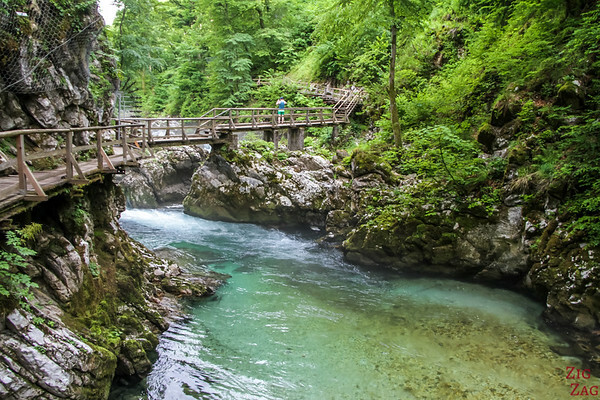 Located in the Triglav National Park, the water appears in the middle of the rock wall (from an underground river) and drops into 2 arms shaping an A. The right-hand fall is 78m high and the smaller one is 25m high. And the crystal clear water flows into a pool of intense emerald color. I promise I did not use filters. It is quite mesmerizing! Slap Savica is located at the West end of Lake Bohinj (South west of Bled Lake). There is a large parking at the beginning of the hike (for a fee). 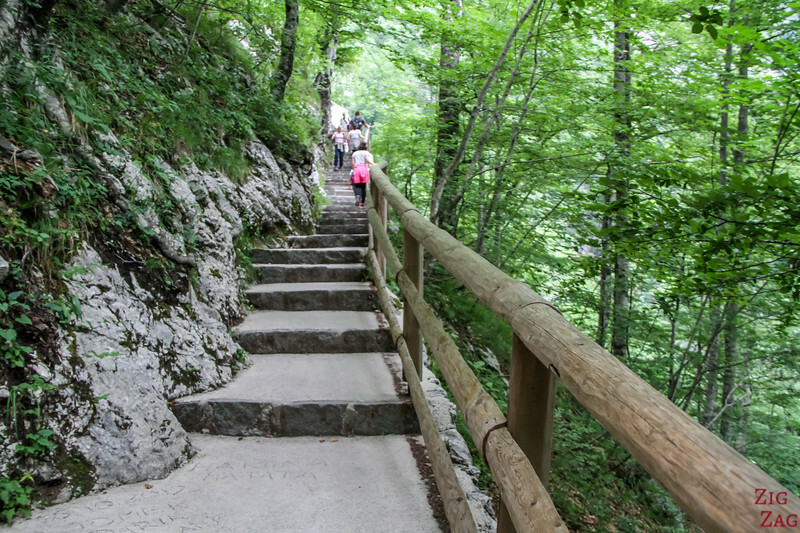 Then you still have to climb 550 steps in the forest to reach the viewing platform over the waterfall. 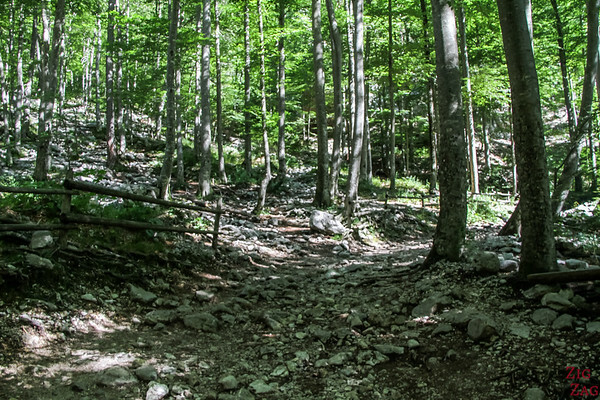 The path is well maintained, so you have to pay a fee at the beginning of the hike. 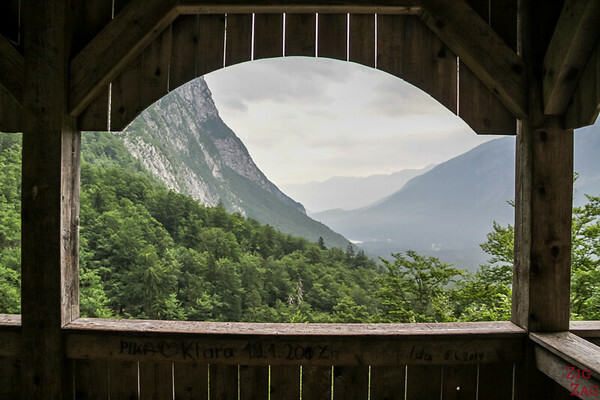 And don't forget to turn around to spot the end of Lake Bohinj and admire the mountains. It is a popular spot so you won't be alone. Better light in the morning. You can see more photos on my article dedicated to Slap Savica. This is the most fun of all the waterfalls in Slovenia. You can walk behind it!!! I already did that in Iceland (at Seljalandsfoss) so when I saw it was possible here, I added the stop to my itinerary. Slap Pericnik is actually a series of 2 falls, but the main attraction is the lower one. The upper drop is 16m high and rather difficult to reach. The lower waterfall has an easier access. It is a 52m straight drop where material was carried away by glacial water behind it, creating a carving in the rock wall and allowing us to now walk behind. Plus the mountainous area is stunning. Pericnik is South of the village of Mojstrana, North West of Bled. The last 2km of road are unpaved but not difficult (large and quite flat). From the parking, don't miss the view of the lower waterfall from the distance. Then you can climb uphill for 10minutes (steep climb but not technical) to reach the bottom of the drop. You can see more photos on my article dedicated to Slap Pericnik. Hidden at the end of a canyon in an open cave, the water drops for 15meters into (yet again lol) an emerald pool. The water comes from high in the mountains and already drops through 5 waterfalls before this one. It is the Kozjak stream, a tributary to the famous Soca River. 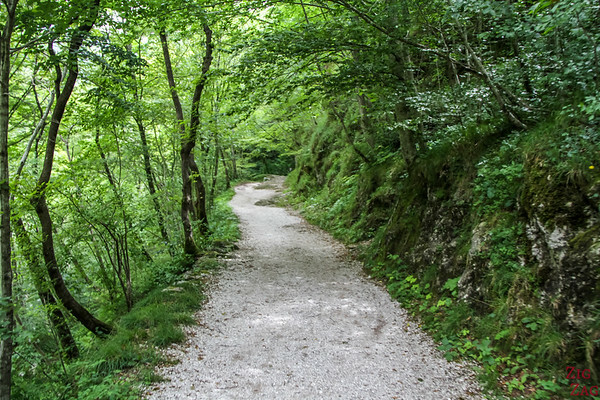 The unique location with the white drop against the dark rocks makes the detour worthwhile, especially as we can see below, when the path takes you along the Soca river and in enchanting forest. 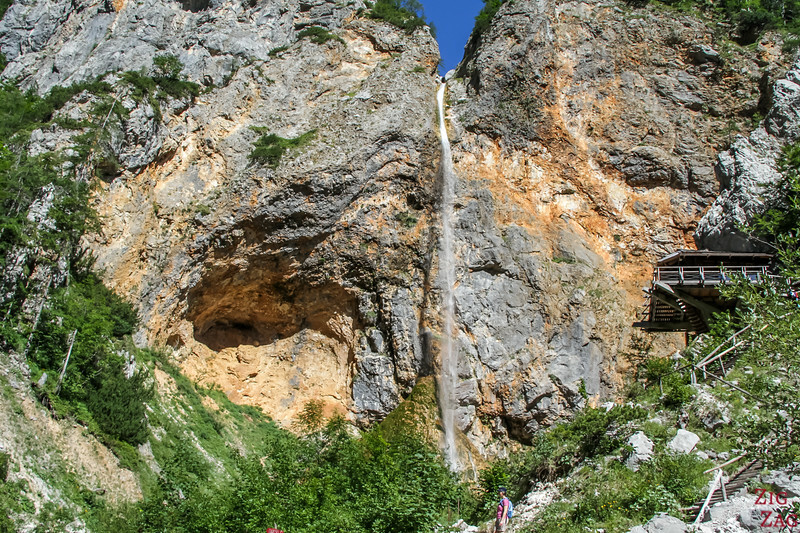 The Kozjak waterfall is located not far from the town of of Kobarid, at the edge of the Triglav National Park. There is a parking for a fee. 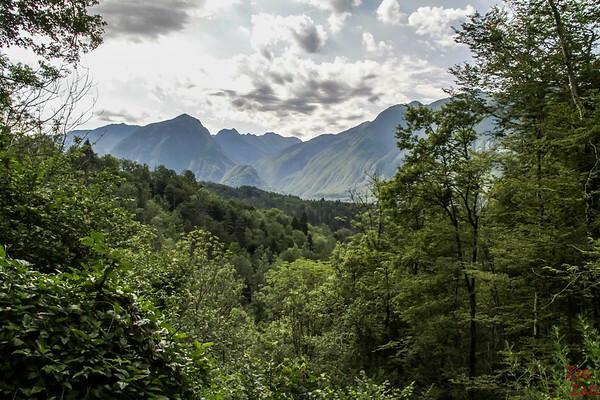 The return hike will take you 1h15 (unless you complete the whole loop of the Kobarid heritage trail with WWI sites). 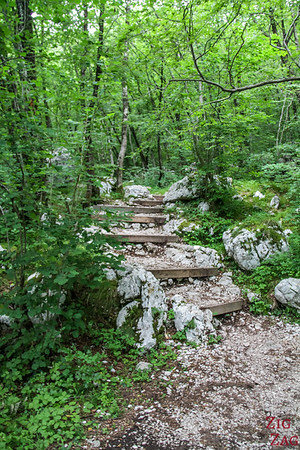 The trail is well maintained. There is only one big slope and a few low bridges to cross. Note that at the end to enter the cave there is water. So they have built a platform to enter without getting wet but it can only accommodate 10 people at a time. You can see more photos on my article dedicated to Slap Kozjak. The Rinka waterfall is a single 90m drop against the grey and orange rock wall. It is often said that it is the tallest in Slovenia but apparently, this is not the case. I must admit I was slightly disappointed by the waterfall. The drop is impressive but it is not as charming as all the others I got used to seeing. However if you turn around, the mountains are quite stunning. And anyway the Logar Valley is definitively worth visiting. It is a beautiful amphitheater! North of Ljubljana, close to the Border with Austria. You have to drive all the way inside Logarska Dolina (the Logar Valley) to the last parking, the end of the road. Then it is a 15min climb. Beware the climb is steep and slippery. It is short but tiring! There is a café at the bottom to recover after. 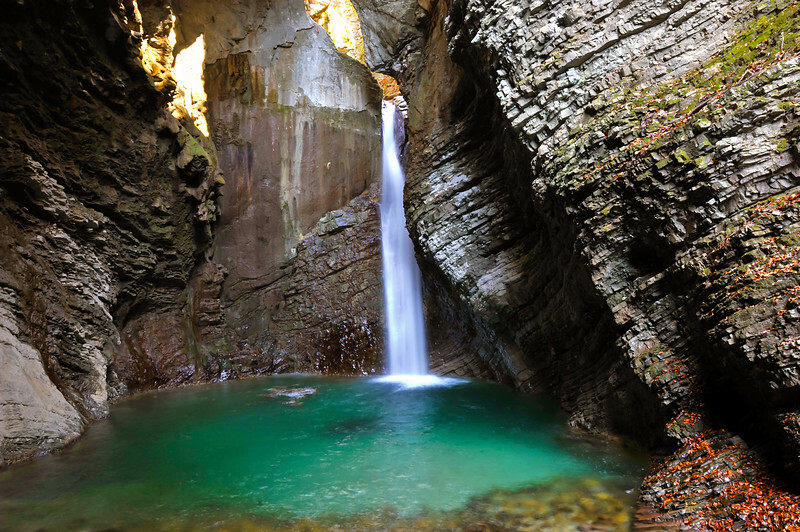 In the Logar Valley, there is also the Palenk waterfall where water flows on a rocky wall. However when there is not much water, there is nothing to see. Several waterfalls are called with the little name of Sum. Here I am referring to the waterfall at the end of the Vintgar Gorge. Another enchanting creek with unbelievable colors. The Vintgar gorge was my favorite thing to do in Slovenia. The walk through the narrow canyon offers picturesque views with many changes in colors and water flow. At the end of the walk, there is a cafe. From there you can climb down to go admire the Sum waterfall, a 16m high drop in (yet another lol) emerald-color pool. 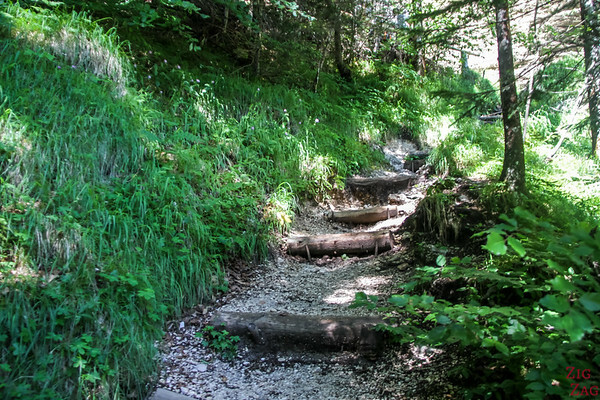 Vintgar is only a short drive from Bled. The whole walk will take you 1h30 return (depending on how much you stop to take photos). At the end of the walk, go down the 60 steps, cross the bridge and take the path under the trees and you are there! Same way to go back. You can see more photos on my article dedicated to Vintgar Gorge. All these waterfalls, along with many other beautiful places, are included in my eBook: The Road Trip Guide - Slovenia. There are of course other waterfalls in Slovenia. Below are a few more. I have selected those because I find them the most beautiful or interesting and not too difficult to access.